Miss Ainsley teaches in Blue Class supported by Mrs Hodgson. 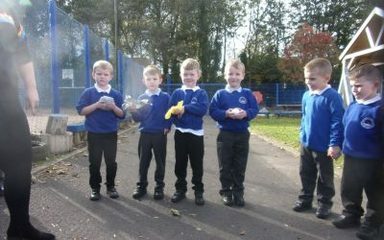 Each day, they use the Year 1/2 outdoor environment and double classroom to develop the children’s skills in reading, writing and mathematics. 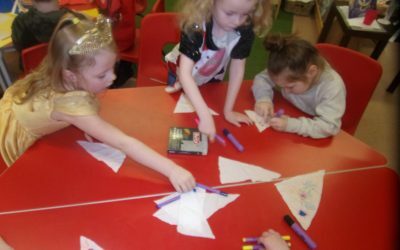 The children in Year 1/2 are always up to something exciting, challenging themselves and making sure they reach their full potential! This half term, they are going ‘Into the woods!’ Keep an eye on our twitter page to see what they get up to. 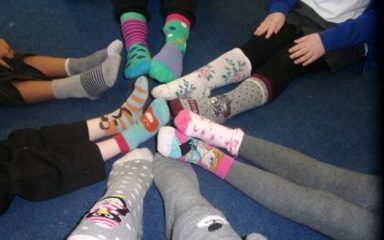 The children in Blue class supported anti-bullying week by coming to school wearing odd socks. 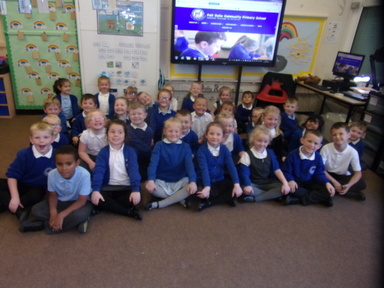 We discussed how we are different and how we are the same - also one of our Fell Dyke values.